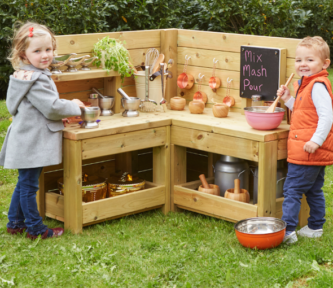 Get busy mixing, blending and creating concoctions at this robust wooden unit. Ideal as a mud kitchen or for an outdoor home corner. 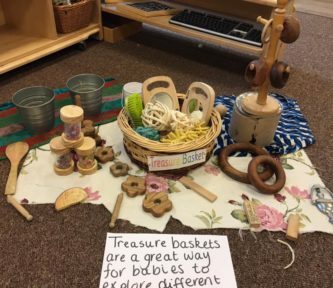 With added shelving underneath and hooks along the top ledge there is plenty of space to store all of your messy play containers, ingredients and utensils that add to the excitement and versatility of this fantastic open-ended resource. The sink is removable for easy cleaning. 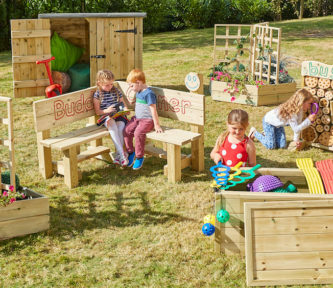 The mud kitchen is the perfect height for young children and is designed for permanent outdoor use. The wood is FSC Scandinavian Redwood. 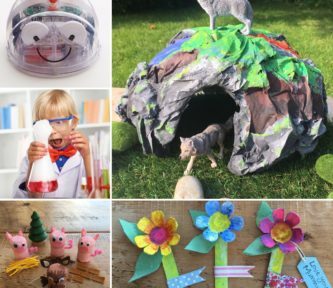 Please note accessories are not included.